My style is what I like to call just straight-up, just straight to the point, trying to pass the guard or I’m trying to sweep you or trying to submit you.I’m always looking to push the pace, push the action. Very rarely will you see me initiate a 50/50 guard or something of that sort where it locks the match. He did not initiate the 50/50 guard with Iturralde, but he refused to let it lock the match, ending it in an incredibly fierce choke. JT Torres, the Spiderman, as he was known more in years past than recently, is a New Yorker of Puerto Rican descent, born in 1989 in the Bronx. 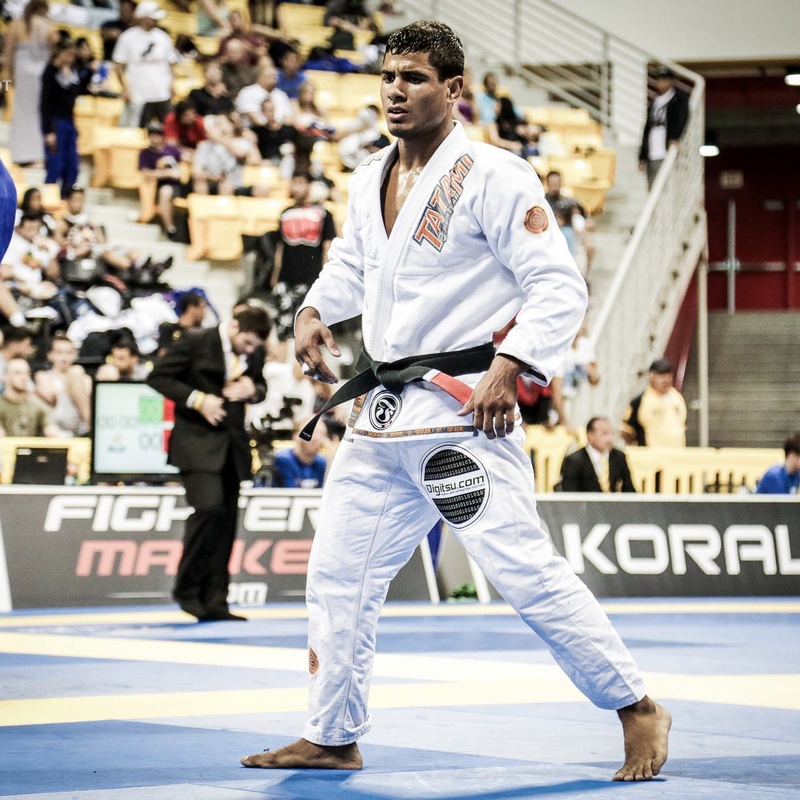 Always pushing the pace, he has one of the most dynamic games in Brazilian Jiu-Jitsu. One can say he brings the Bronx attitude he was raised in, onto the mat. The Bronx, even for many native New Yorkers, is a no-go zone, where even tough guys from Brooklyn are scared to go to. The birthplace of hip-hop, with some of the noisiest neighborhoods in the city (Yankee Stadium, Arthur Avenue, and the South Bronx), the Bronx gives shape to a people whose characters are loud and proud. 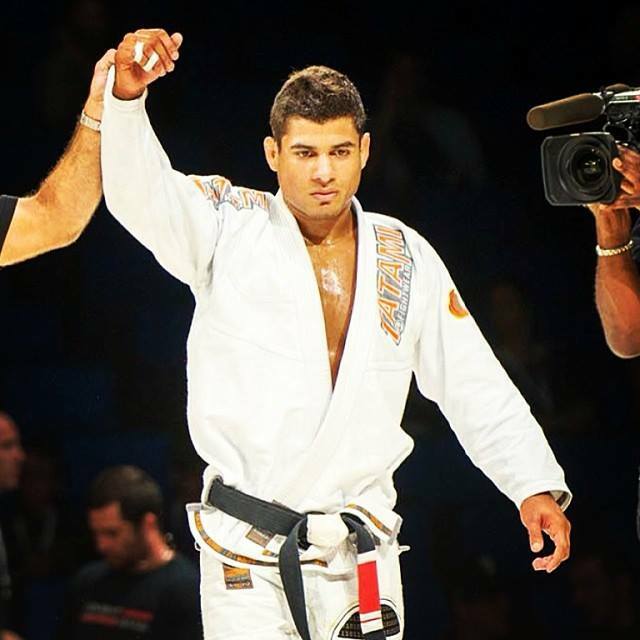 And it gave us a jiu-jiteiro with a highly explosive, submission-oriented, fierce game. Look at the match with Iturralde and notice the vicious attack of the clock-choke that finished Iturralde bent-backwards over JT’s body, as if hanging from the gallows. Originally of Italian origin, and taken up by Spanish and other Romance languages, fiero (as Jane McGonigal points out in her book Reality is Broken) is the most primal emotional rush we can experience. Fiero is the Italian word for “pride,” and it’s … an emotional high we don’t have a good word for in English. Fiero is what we feel after we triumph over adversity. You know it when you feel it—and when you see it. That’s because we almost all express fiero in exactly the same way: we throw our arms over our head and yell. …Fiero, according to researchers at the Center for Interdisciplinary Brain Sciences Research at Stanford, is the emotion that first created a desire to leave the cave and conquer the world. It’s a craving for challenges that we can overcome, battles we can win, and dangers we can vanquish. Scientists have recently documented that fiero is one of the most powerful neurochemical highs we can experience. The English word fierce has as its origin in fiero, but loses a bit in its current definition: high-spirited, brave, valiant. Fiero is all those things, but it is the experience of them. Fiero is the moment you embody braveness and valiance; and it is the rush of deep human pride associated with valiance after having overcome an obstacle. In Spanish, fiero retains a bit of the original inflection as it is related to the word bravo. (Not brave, but more like “one that is game.” Or, one that plays the game to its true warrior spirit.) To this writer, this sounds like the perfect description of a straight-up Bronx man, true to the truth, game to a challenge, and willing to execute things straight-up. In the match with Iturralde, JT was aggressive from the start; his kumi kata (grip fighting) was fierce, slapping Iturralde’s hands away, refusing to let him establish grips. JT crouched low and exploded into a double leg. Iturralde sprawled, flailed, and turned his back, as JT was going to take him down, Iturralde inverted to grab JT’s leg, eventually scrambling to a 50/50. However, this was not the 50/50 you are used to seeing. Both Iturralde and JT were aggressively attempting sweeps, going for toe holds, knee bars, or standing up to establish top dominance. Eventually, Iturralde attempted a knee bar while JT was standing, and JT kicked his caught leg out. From there, Iturralde turtled, JT held him, placed one knee on the back of Iturralde’s shin, with the other leg posted. Several attempts at Iturralde’s neck finally gave JT the clock choke. For many, the finish was a champion’s finish, to put it all on the line on one move. JT went on to win two more gold medals at the 2014 American Nationals. I had a chance to interview JT before and after his 3 gold medal performance. Below, you will find a grappler who is enjoying his time at Atos, training with the best partners possible, but missing his Bronx stomping grounds; a grappler who has a vision for himself as a competitor and instructor of future champions, a grappler whose focus on being a champion is second to no one, who believes a champion acts like a champion on and off the mat. 1. I am Puerto Rican myself so I have to ask, how did you end up doing Jiu-Jitsu instead of playing baseball for the Yankees Mets? Actually growing up I did play some baseball, and I remember always practicing with my dad. Even though I grew up playing baseball it never really caught my full interest, and when I started wrestling and karate and BJJ, I was hooked from day one! I actually miss living in New York a lot! I absolutely miss being around that Puerto Rican culture, where out here in California you really don’t find too many Puerto Ricans. I miss hearing salsa and reggaeton on the radio and eating some good rice, beans and pollo Puertorican style! 2. When did BJJ click for you? BJJ clicked for me right from the start! I honestly feel that it worked out for me like that because I was opened minded from the very beginning. Every technique that I saw I would try it right away until I got it right. 3. What advantages do you think you’ve gotten by training at different teams through your ranks? Through out my career I have trained with a few different teams and many great BJJ practitioners. I have gained many advantages from these experiences because I have been exposed to many different training methods and techniques and from those I have picked and choose which ones worked best for me. Anytime you leave a team it will always be difficult but you have to do what is best for yourself. 4. Have you figured out your teammate, Keenan Cornelius’, worm guard? Passed it? Haha, I don’t think any of us will ever fully figure one another’s games because we are constantly forcing each other to evolve our games! Training with those guys day in and day out is blessing! We push each other very hard training and that’s why you guys are seeing great results! 5. What is the one “thing” (technique or concept) that you see Jiu-Jitsukas getting wrong consistently? One thing that I see Jiu-Jitsukas getting wrong consistently is their gripping sequences that actually set up the techniques. I think one major misconception in BJJ is that people believe they can reach the top while living a double life and what I mean by that is people want to train hard during the week and then go party hard on the weekends. A champion is a champion 24/7. 6. Who’s your favorite old-school BJJer? Your toughest current opponent? My favorite old school BJJ player is Leo Vieira. My toughest current opponents are my training partners! 7. Where do you see yourself in your 30s? In my 30’s I see myself running many successful gyms under the Atos tree! I also see myself coaching my future world champion students. 8. Any sponsors you would like to thank? Yes! Tatami Fight Wear. Fokai Industries. Killcliff. The ArmBar Soap Company.